Turn the frame over and lay it face down, a towel or piece of card underneath will help to protect the front of the frame. Use a tape measure or ruler to measure the opening at the back where the picture is held. This should be the same size as the piece of glass and backboard that go in the frame. 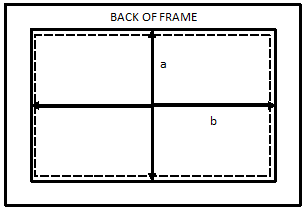 This is called the rebate size and is the size that we use to identify frames in the shop. 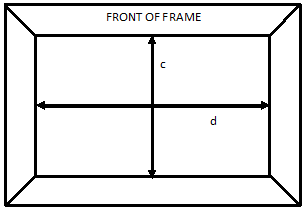 Turn the frame over so it is face up and measure the size of the opening at the front. 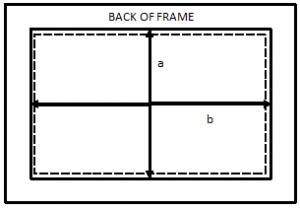 This is the area of your picture that will show and is called the frame opening size.